A new addition to the BTPHG virtual Bookshelf has been made. 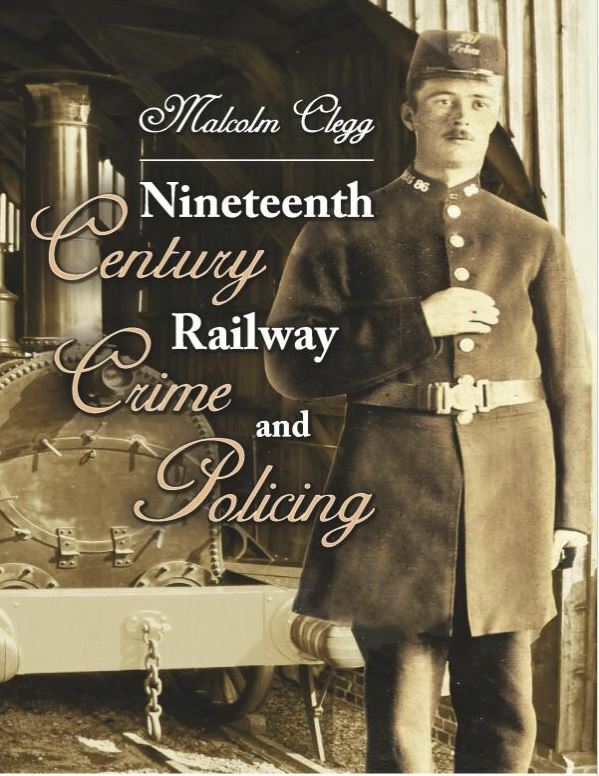 BTPHG member and BTP History Writer, Malcolm Clegg, who has researched and written several articles for our newsletter History Lines has recently published a history of railway crime and policing in the nineteenth century. IN FOND MEMORY. **A Never to be forgotten kind knowledgeable British Transport (Commission) Police mentor. His name was PC Thomas (Tommy) MARTIN, who served at Newcastle upon Tyne Central in the late 195Os and 196Os. Tommy assisted with the learning of Police student law, as well as the Daily newspaper crossword, always his favourite, assisting Newcastle Office Cadets then a Michael Admundson, Derek SMITH. Tommy served under the then Thomas Swindon APPLEBY (QPM). Tommy was a good story teller and related a Army experience, during world war two in the North African desert whilst serving there. He became detached and lost from his unit and after wandering the desert for a few Hours came upon a USA Army Camp Base. He was welcomed with open arms and was amazed to be both invited to sit a very well stocked USA Camp Food table with lilly white clean tablecloths. In fond memory of PC Matthew (Matt) Dudgeon. Matt served the British Transport Police at Newcastle Upon Tyne Central Station during the 195Os and 196Os. A very professional Police Office who had a working pride in his Railway Station beat. Generally matt presented a no nonsense, zero tolerance approach but always firm but fair with an engaging sense of humour. Apparently before joining the Police Matt served in the Coldstream Guards.